Hoarding is a psychological condition that results in a person accumulating an enormous amount of trash and things of little-to-no value, or worse, more animals than can be properly cared for. Hoarding of any kind can pose several dangers to the occupant and neighbors, and certainly to animals if they are involved. These hazards can be deadly, and all the more reason people with hoarding disorder should have professional help to restore them to healthy living conditions. If children and animals are in the home, exposed to these perilous dangers, hoarding is also a crime. The weight of debris and hoarded items are often more than the floors are able to withhold. The sheer volume of debris in a room can push up against walls, not only damaging their integrity, but also putting the ceiling and roof at risk of collapse. Likewise, the collapse of walls, floors or ceilings can cause gas lines and water pipes to break, resulting in fire and flood damage. Large amounts of paper, such as newspapers, books, boxes, and discarded food wrappers and packaging, or improperly stored combustibles can pose extreme fire dangers. If space heaters are used, close proximity to any debris can also cause a fire. 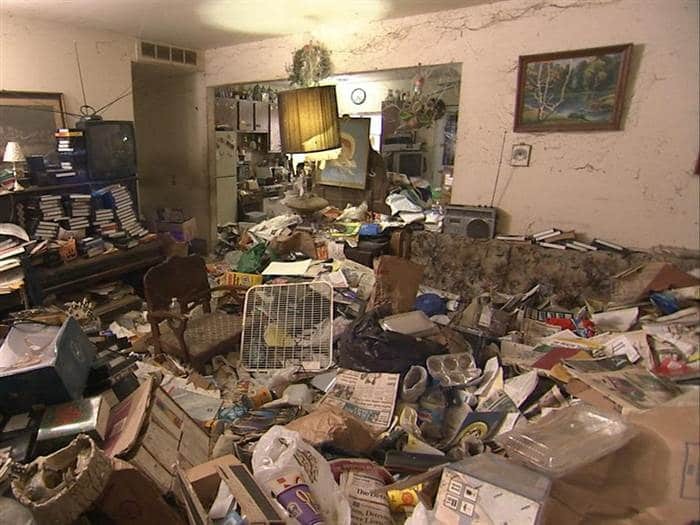 Often, hoarders will create precarious paths between large piles of debris, or will crawl over mountains of trash to get around in the house. If these trash piles collapse, they could trap the hoarder underneath, burying the person alive. This could result in death from suffocation or inability to notify anyone they need help. As is often the case, hoarders not only collect relatively useless items, but they tend to not dispose of much of anything. The decay of spoiled food stuffs and waste can lead to terrible odors and airborne pathogens that can be harmful or even deadly. In a very unusual case in San Francisco, the mummified body of a 90-year-old woman was found in an extreme hoarding case. Officials believe she died 5 years previously. In almost all hoarding scenes, biohazards are present. Biohazards can be toxic or infectious, even deadly, and can lead to any range of illnesses and dangers to the resident or neighbors. Common biohazardous materials include spoiled food, feces and urine, blood, bodily fluids, pet waste and dead animals. The decay and decomposition of organic materials and biohazards, undoubtedly attract pests. Rodents will leave waste and very often get trapped and die within a hoarding residence. This further increases the potential harm to the hoarder, as well as neighbors. This is why hoarding goes beyond an individual and becomes a community problem. A hoarding situation can become so extreme that debris blocks access to a kitchen and bathrooms. When the kitchen is blocked or is overwhelmed by harmful waste, proper food preparation becomes impossible. And when bathrooms become blocked, makeshift alternatives are used, with an absence of hygiene. In the extreme hoarding case in San Francisco, police found over 300 bottles of urine on the premises. If a loved one or a neighbor is a hoarder and living in unsafe conditions, we can help with the cleanup and refer you to other helpful resources. 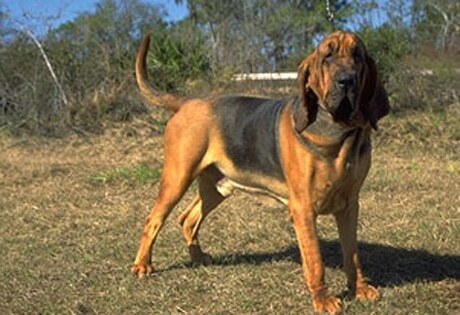 If animals or children are at risk, we can also put you in touch with law enforcement agencies that can assist. 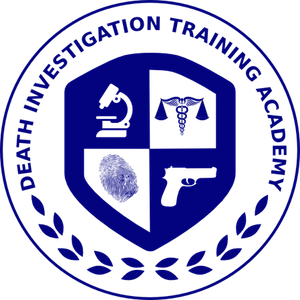 A forensic scientist specializing in investigative psychology and crime scene investigation. Diversified experience as an investigator, interviewer, instructor, expert witness, and an analyst. Currently conducting research in the transference of psycholinguistic cues to handwriting during deception. The current quantitative method unites psychological and physical evidence for more concise investigative leads, with expected applications for criminal interrogations and loss prevention interviews. In this episode, I talk with Bill Patt. Bill has spent his career in EMS and for the last several years has been the supervisor of a large EMS district. 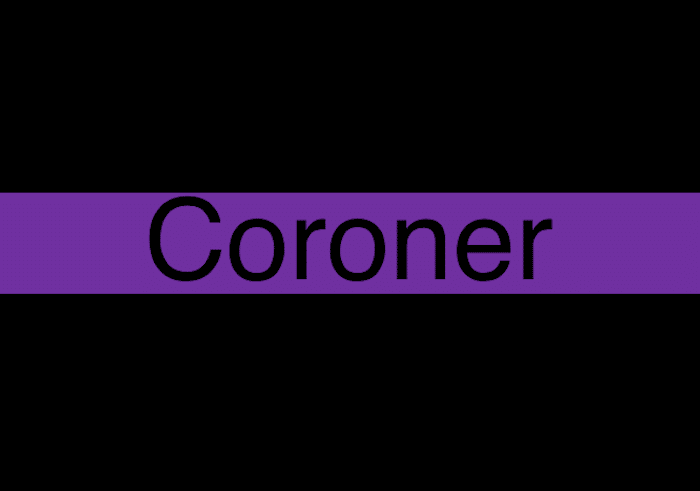 Bill and I discuss the history of the EMS field in where the EMS field and the Coroner – death investigation field merge. We talk about the first call he ever had that resulted in a death, that happened also be the first call the local coroner. We also talk about scene control, personal decontamination, and mental fatigue of the job. 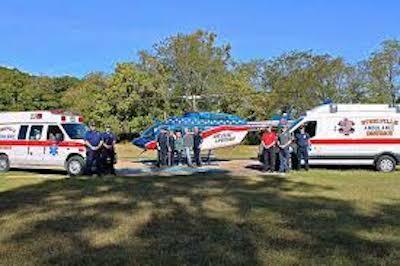 Bill is due to retire within a few months after a long 30-year career in the EMS field, this conversation is very real and at times can get very humorous. Bill is a fascinating paramedic supervisor and will add a lot to this industry to this conversation. 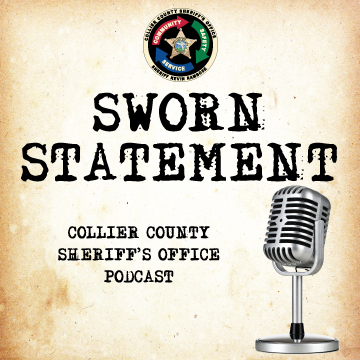 Sworn Statement is a podcast exploring local cases and public safety issues here in Collier County. The first three episodes will focus on the case of the deceased hiker known as Mostly Harmless. Hikers found the man’s body in Big Cypress National Preserve in July 2018. Facebook tipsters quickly linked a composite image of the man to photos taken of him during his hike along the Appalachian Trail, beginning in 2017. But detectives have not yet made a positive ID. Sworn Statement will take a deep dive into the case with first-hand accounts from the 911 caller, hikers who met him on the trail and CCSO’s own investigators. Future episodes of the podcast will delve into other issues and cases taking place in our community. Listen to the first three episodes here. 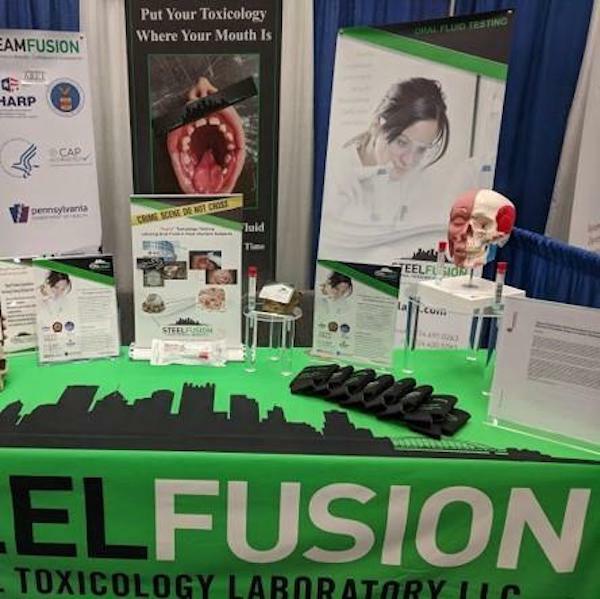 SteelFusion offer rapid forensic and clinical toxicology testing utilizing Oral Fluid and Urine for the detection and quantification of illicit and prescription drugs. 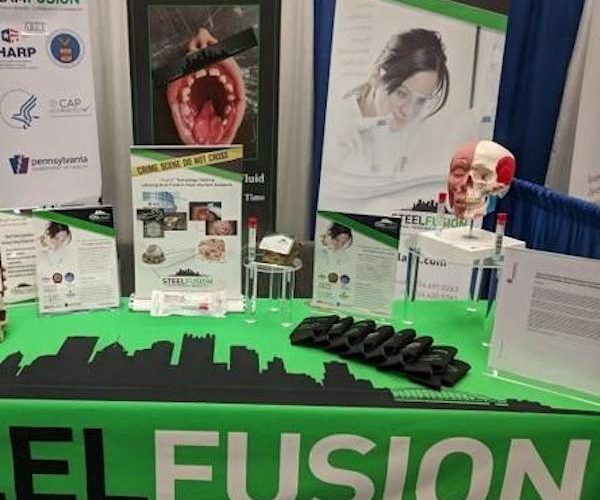 SteelFusion are the post-mortem Oral Fluid experts! Are you unsure about the interpretation of your toxicology results? Do you need an expert testimony witness to consult with? Do you know if your laboratory is using the most up-to-date procedures and has the proper accreditations? 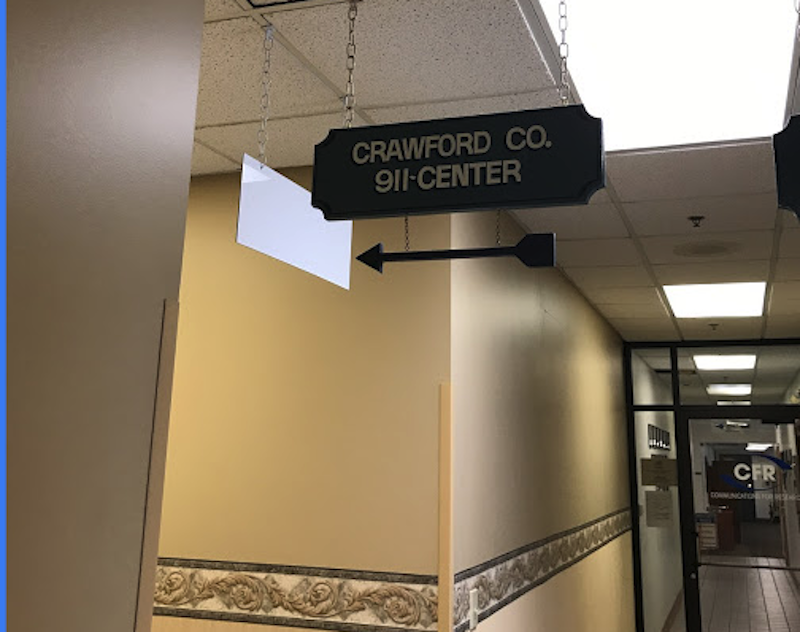 Whether you are a coroner, deputy coroner, medical examiner, investigator or work for the judicial system, they can assist you with choosing the right sample and the right test to meet your specific needs. Codeine is one of the fastest opiates to leave your system. A blood drug test can detect it within 24 hours while urine tests work for 24-48 hours. Saliva testing for codeine is effective 1-4 days after. Testing blood, saliva, or urine can detect most drugs for 1 to 4 days after use. Oral fluid testing, in its similarity to blood, excels in the ability to detect drug use within the first moments of consumption. Urine testing must wait until the drugs have passed through the body. MLDI online Academy is a six-week guided course with certified instructors. However, at the end of the six weeks, you still have access to all videos, downloadable material. You can return to the online school anytime to finish up the courses or as a refresher in certain topic areas. 911 emergency dispatchers often are the first people contacted when emergency assistance is needed. They’re responsible for determining the nature of the calls they receive, as well as the location of the callers. They also are responsible for monitoring the location of emergency service personnel in their assigned territory. Using this information, 911 emergency dispatchers direct the appropriate type and number of emergency service units to emergency scenes. 911 emergency dispatchers must maintain communication with the dispatched units to monitor their response, in addition to maintaining communication with callers to monitor emergency situations and give first-aid instructions if necessary. A May 2012 study, conducted by researchers at Northern Illinois University (NIU), linking on-the-job training exposure to trauma, placed dispatchers at risk for developing symptoms of post-traumatic stress disorder (PTSD). The study was published in the Journal of Traumatic Stress. 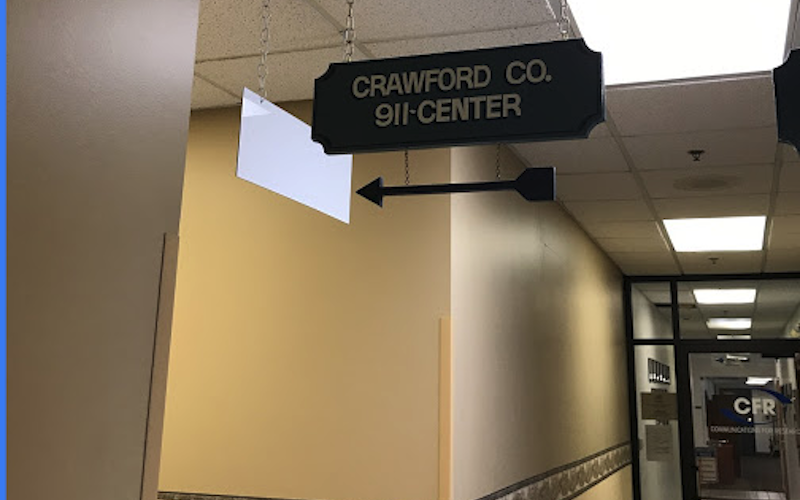 “We found that dispatchers report significant emotional distress related to handling duty-related calls, and this type of distress is associated with increased risk for developing PTSD or PTSD symptoms,” said NIU Psychology Professor Michelle Lilly, one of the authors of the study. The #IAM911 movement is an effort to assist in the reclassification of public safety telecommunicators from “clerical” to “protective.” But its much more than that. It’s a movement that brings light to the job of 911 call takers and dispatchers who were previously all but forgotten about. 911 centers are the first line of communication with and for emergency service workers and their fields. If not for the central hub of communications and good direction from a dispatch ‘traffic cop’, the rest of us could not do our jobs as efficiently if at all in some cases. Ricardo Martinez II is a creative individual who is using his skills in writing, design, and podcasting to tell the stories of those he works with. For 13 years he has answered the call of a 9-1-1 dispatcher and recently accepted a new position with INdigital telecom as a 9-1-1 systems trainer and designer. Throughout his years in dispatch, he was able to go to school where he received an Associate’s in web development through Baker College, a Bachelor’s in graphic design through Full Sail University as well as a Master’s in new media journalism in March of 2013. Before starting his Master’s program he launched Jabber Log, a blog about current events and his life stories. His personal blog posts became a hit with his audience and one such post even appeared on WordPress.com’s “Freshly Pressed” section on their main page. From there, his blog opened doors that included promotions for businesses, artists, and musicians. Once he started his Master’s program he began doing multimedia stories that can be found on his YouTube channel. Through this program he discovered podcasting. It spawned a series that tells the stories of those in the field of emergency services. 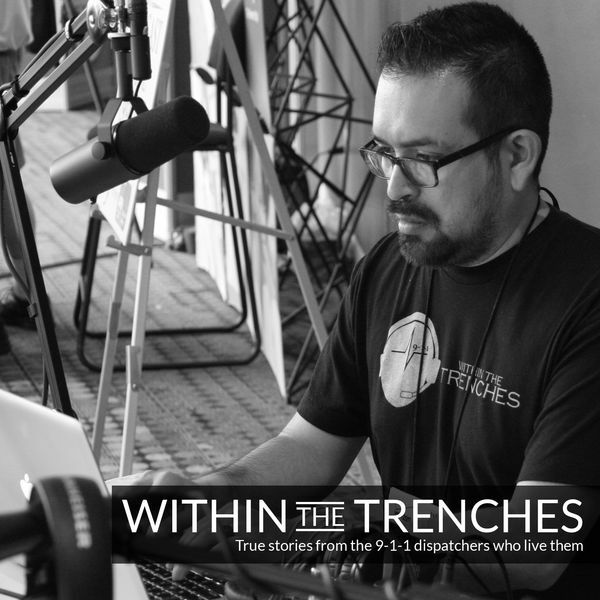 He then created a podcast version of a segment on his blog called Within the Trenches, a section of writing based on his experience as a 9-1-1 dispatcher. 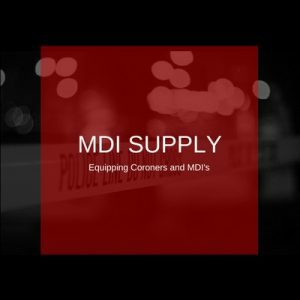 He launched a Kickstarter campaign to raise $1,500 for the equipment needed for a show that would feature the stories of 9-1-1 dispatchers. The campaign was funded and can now be found at www.thejabberlog.com. His goal is to tell the story of everyone he meets. 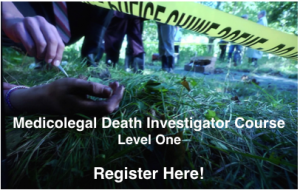 The Science of Forensic entomology is the study of insects for medico-legal purposes. There are many ways insects can be used to help solve a crime, but the primary purpose of forensic entomology is estimating time since death. Once a person dies his or her body starts to decompose. The decomposition of a dead body starts with the action of microorganisms such as fungi and bacteria, followed by the action of a series of insects (arthropods). Bodies decompose slowly or fast depending on weather conditions if they have been buried or are exposed to the elements, if there is a presence of insects or if they have a substance in their bodies that prevent their fast decomposition such as body size and weight, clothing. It is by collecting and studying the insects that are feeding on a body that a forensic entomologist can estimate the time elapsed since the person died. Flies have great powers of dispersal and they rapidly discover bodies, usually ahead of beetles. Although they can feed on fluid that exudes from a fresh body, the acidic tissues of a fresh corpse cannot be digested by flies. Blow flies are the most common insects associated with a dead body. However many other species of flies, beetles, and arthropods may also be found at a death scene. Because blow flies arrive earlier in the decomposition process, they provide the most accurate estimation of time of death. Some of the blowfly species found in Canada includeCalliphora vicina, Calliphora vomitoria, and Cynomya cadaverina. The scientific names are used because the common names are not always consistent. Beetles in both their immature and adult form can also be found on dead bodies. These usually occur at later stages of decomposition. As the corpse dries, it becomes less suitable for the blowflies, flesh flies and house flies that like a semi-liquid environment. Different fly families, the cheese flies, and coffin flies, are abundant as the corpse dries. Eventually, the corpse becomes too dry for the mouth hooks of maggots to operate effectively. The hide beetles, ham beetles, and carcass beetles, with their chewing mouthparts, devour the dry flesh, skin and ligaments. A few of these includeSilphidae(Carrion beetles), Dermestidae (Dermestid beetles) and Staphlynidae (Rove beetles). Other insects that may be found include Piophilidae (Skipper flies), Sphaeroceridae(Dung flies), and Phoridae (Humpback flies). Finally, moth larvae and mites consume the hair, leaving only the bones to slowly disintegrate. There are two methods to estimate time since death: 1) using successional waves of insects and 2) maggot age and development. Insect succession is used if the individual has been dead for a month or longer. 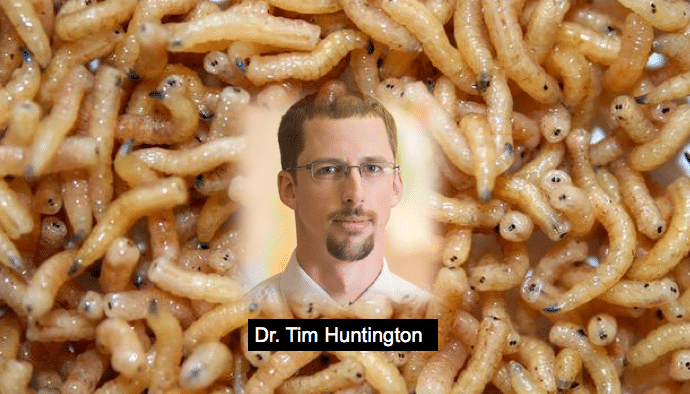 Maggot development is used when death occurred less than a month prior to discovery. Insect succession uses the fact that a body (human or otherwise) supports a rapidly changing ecosystem as it decomposes. As they decay, the remains go through physical, biological and chemical changes, and different stages attract different species of insects. Calliphoridae (blow flies) and Sarcophagidae (flesh flies) may arrive within 24 h of death if the season is suitable or within minutes if blood or other body fluids are present. Other species, like Piophilidae (cheese skippers), are not interested in the fresh corpse but are attracted to the body at a later stage of decomposition. Some insects do not seek the body directly but arrive to feed on other insects at the scene. Many species are involved at each decomposition stage and groups of insects may overlap with each other. Knowing the regional insect fauna and times of colonization, a forensic entomologist can determine a period of time in which death took place. They may also be able to establish the season of death (e.g. summer) according to the presence or absence of certain insects that are only seasonally active. Maggot age and development is used in the first few weeks after death and can be accurate to a few days or less. Maggots are immature flies and Calliphoridae(blow flies) are the most common insects used. Blow flies are attracted to a corpse very soon after death and lay their eggs in natural openings or in a wound if present. Eggs are laid in batches and hatch after a period of time into first instar (or stage) larvae. The larva feeds on the corpse and molts into a second, and then third instar larva. The size and the number of spiracles (breathing holes) determine the stage. When in the third instar, the larva stops feeding and leaves the corpse to find a safe place to pupate. This is the prepupal stage. The larva’s skin hardens into an outer shell, or pupal case, to protect it as it metamorphoses into an adult. Freshly formed pupae are pale in color but darken to a deep brown in a few hours. After a number of days, an adult fly emerges, leaving an empty pupal case behind as evidence. Each developmental stage takes a known amount of time, depending on the temperature and availability of food. Temperature is especially important since insects are ‘cold-blooded’ – meaning their metabolic rate increases (and the duration of development decreases) as the temperature rises, and vice-versa. Looking at the oldest stage of insect and the temperature of the region, a forensic entomologist can estimate the day or range of days in which the first insects laid eggs and provide an estimate of the time of death. 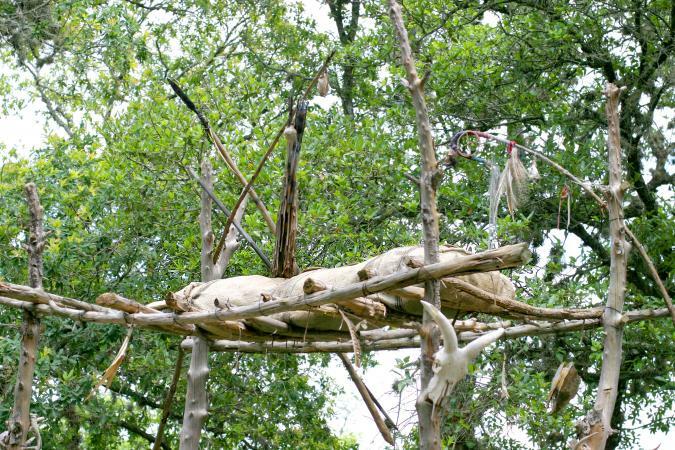 This method applies until the first adults emerge. After this, it is impossible to determine which generation is present and time since death must be estimated from insect succession. Forensic investigations rely on evidence and material found at a crime scene, which must be recorded and collected carefully. This is especially true for insect material, which can be hard to find. When approaching a scene with insect evidence, a forensic entomologist first considers the surroundings. If the scene is outdoors, they note the landscape, plants and soil types, as well as the weather. Temperature is especially important and if possible, a portable recording device is left to record long term changes. A soil sample is often taken, since larvae may wander away from the body to pupate. If the scene is indoors, an investigator looks for access points where insects could get in. Once at the body, the forensic entomologist takes several samples from different areas of the body. If there are maggots, some are collected, placed in boiling water and preserved in alcohol. This stops development and allows the insect to be aged. Other maggots are collected alive so that they can be kept until they reach adulthood. At this stage, the species can be determined. Normally, eggs are only collected if there are no later stages associated with the body. Again, some are taken and preserved in alcohol while others are watched until they hatch. Empty pupal casings are also collected. Adult flies are useful only if the wings are crumpled. This suggests they have recently emerged and can be linked to the body. Otherwise, they are not collected since they may have just arrived to the scene. The careful and accurate collection of insect evidence at the scene is essential. Ideally, an entomologist collects a range of insect stages from different areas of the body and the surroundings (e.g. clothing or soil). Different species, or insects collected from different areas, are kept separately. Bodies attract two main groups of insects: flies (Diptera) and beetles (Coleoptera). FLIES are found as eggs, larvae or maggots, pupae, empty pupal cases or as adults. EGGS are tiny but usually laid in clumps. They are often found in a wound or natural opening but may be in clothing etc. Eggs are collected with a damp paintbrush or forceps. Half are preserved in alcohol and half are collected alive. Eggs are especially important when maggots or later insect stages are absent. The time of hatching is vital and the eggs must be monitored every few hours. MAGGOTS are found on or near the remains and may be in large masses. The masses generate heat, which speeds up development. The site of the maggot mass, the temperature (and size) of each mass are important. Large maggots are usually older, but small maggots may belong to a different species so a range of sizes are collected. Since third instar larvae leave the body to pupate, the soil around the body is carefully sifted. The soil below the corpse is also checked to a depth of several centimeters. Half the sample is kept alive and half preserved immediately. Preservation allows the entomologist to see what stage the maggots were in when collected. Preserved specimens may also be used as evidence in court. PUPAE and EMPTY PUPAL CASES are very important but easy to miss. Pupae like dry, secure areas away from the wet food source so clothing pockets, seams, and cuffs are likely hiding places. If the remains are found indoors, they may be under clothing or rugs etc. Pupae are dark brown, oval, and range in size from 2-20 mm. Empty pupal cases look similar, but one end is open where the adult fly has emerged. Pupae are not preserved. They won’t grow and the species and exact age cannot be determined until the adult emerges. BEETLES (Coleoptera) are found as adults, larvae, pupae and as cast skins. All beetle stages are important. They move fast and are often found under the body, or in and under clothing. They should be placed in alcohol in preserving them. At the laboratory, entomologists measure and examine immature specimens, placing them in a jar with sawdust and food. The insects are checked frequently and when they pupate they are removed. The date of pupation and emergence is noted for each specimen. When the adults emerge, they are killed and stored. This process is important because adult flies are much easier to identify to species than larvae. Also, pupation and emergence times are used to calculate the age at the time of collection. Forensic entomology is used most commonly to determine time since death. However, insects can provide other important information about a crime or victim. For example, insects can provide details about a person’s life before they died. Because development is predictable depending on specific factors, the use of drugs can change the lifecycle timing of an insect. One such drug is cocaine, which causes the maggots feeding on affected tissues to develop much faster than they normally would. Insect behavior can also offer clues about what happened around the time of death. Flies tend to lay their eggs first in moist places in the body like the eyes and mouth. If eggs or maggots are found on normally dry skin, like the forearms, before these other areas, it suggests that the skin was damaged in some way. This may be because the individual injured themselves in a fall or because they were trying to protect themselves from a weapon. In either case, an important piece of evidence has been discovered. Finally, the species of insect can point to events that occurred after death. For instance, some insects are found only in some areas. If a species that is normally found only in the countryside is found at a scene in the city, it suggests the body has been moved at some point after death. Again, this provides an essential piece of evidence that could help solve a crime. 1. The presence of insects on the body that are not found in the area suggests the body was moved and may indicate the type of area where the murder took place. 2. If the insect cycle is disturbed, it may suggest that the killer returned to the scene of the crime. The entomologist may be able to estimate the date of death and possibly the date of the return of the killer. 3. If maggot activity occurs away from a natural opening, this may indicate a wound. For example, maggots on the palm of the hands suggest defense wounds. 4. If maggots feed on a body with drugs in its system, those chemicals accumulate and may be detected. 5. If an insect is found from a specific site, it may place a suspect at the scene of a crime. 6. If insects are found on a living individual (often young children or seniors), it may indicate neglect or abuse. 1. Time of death estimates depend on accurate temperature information, but local weather patterns can be variable and data may come from stations quite distant from the crime scene. 2. Forensic entomology relies on insect abundance. In winter, there are fewer insects and entomology’s use is limited. 3. Since it takes time to rear insects, forensic entomology cannot produce immediate results. 4. Treatments (like freezing, burial or wrapping) that exclude insects can affect estimates. 5. Since chemicals can slow or accelerate growth, insect evidence may be affected by the presence of drugs in a corpse’s system.